You can benefit from our offers to save a little bit more. Open offers page in a new tab! (*) Required fields for booking. SPI theft insurance - Extends the SCDW collision coverage to windows, tyres and locks. * To enjoy the ultimate peace of mind check SCDW collision insurance and SPI theft insurance when booking. Unlike brokers we will do insurance claims, not you! * To avail of our one FREE additional driver or our FREE baby/child seat please contact us in advance. Looking for cheap car hire at Faro airport? www.Yor-Car-Hire.co.uk has flexible and budget car rental options in Faro airport - Algarve and a variety of locations in Portugal. We are an award winning local budget car hire, with a large fleet of economy cars renewed every year. 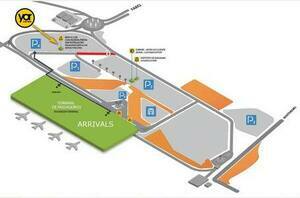 Our main car rental office is at Faro airport but we have agents in all Algarve! Our reasonable prices start from £3.7 a day low season, and remains the lowest possible through the year! We offer free mileage and third party cover and fuel discount! By booking a car hire for Faro pick up, we'll have your car ready for you right when you land at the airport. Yor-Car-Hire.co.uk, is the cheapest way to rent a budget car in Algarve with the offer of an unlimited mileage. The same offer can be claimed at other sites as well. As long as you stay within Portugal, you can explore all you want without having to fork over additional cash for mileage charges. Faro car hire has never been this cheap and convenient! Check out how! It is more affordable to book online as it will become %25 cheaper than our prices in Faro airport office. In the booking form below, please select the type of car you need to rent and the location (i.e. Faro airport and other cities) and we will make sure to have your rental car ready when you need it, where you need it. Please be advised that your budget rental car will be delivered to your accommodation in Algarve when selecting cities other than Faro and Lisbon. For the peace of mind you can select no excess option and waive your liability to pay the excess. Algarve car hire does its best to offer you the lowest and best budget plans in the market and to guarantee its inexpensive service, it offers a price match! In an unlikely event, if you come across a same plan but a better price, just ring us and we will match the price. Like it to become even cheaper? Check out our great offers! 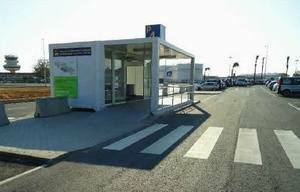 Make hiring a vehicle at Faro airport and rest of Algarve, even cheaper! Algarve car hire is a low-cost car rental in general but did you know you will get 10% off your next booking if you refer a friend? or that you will save 6 cents per liter for fuel when you book with us? There are even more offers making this car hire even more economical. On top of that you will save one forth! of the price when you book online so from "collect location" drop down in the "Online Quote" form, please select "at Faro airport" and we will have your car ready to collect at Faro airport, Algarve. After the booking is done please contact us to arrange the pick up. Algarve car hire offers competitive prices for renting a car in all Algarve. We have a massive fleet of economy rentals and offer a number of discounts to make sure you enjoy a low-price car hire. For your convenience our Faro airport office is located in near walking distance from the terminal, upon request our friendly staff will be there to meet and greet, please just contact us to arrange that. Yor-car-hire.co.uk has a lot to offer and a lot to prove it can assist you in enjoying a nice holiday any where in the beautiful Algarve - Portugal. Book now and see us at Faro airport, or just go to your accommodation and leave the car hire stuff to us, we know our job!